Kevin Wilson creates stunning decor for STARS Lottery home 2018. Read article here. Kevin Wilson - Featured in NOA Magazine Vol. 14 2018. 2018. 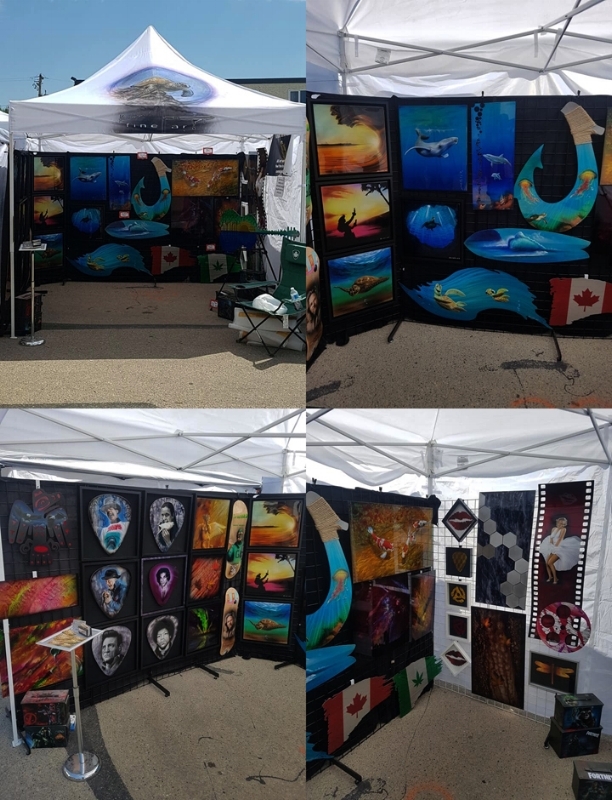 Night of Artists, Art Walk, St. Albert AB Canada. This annual event is a grand promenade along Whyte Avenue (82 Avenue) from 101 Street to 108 Street in Edmonton Alberta. 2018 featured over 450 local artists, with Kevin Wilson featured along the prime thoroughfare for the event.